The move will expand Hyundai Construction Equipment Americas network to 70 dealerships in over 150 locations. Georgia-based construction equipment manufacturer, Hyundai Construction Equipment Americas, Inc. has recently announced addition of outdoor power product supplier, Butler Equipment LLC to its North American authorized dealer network. Sources close to the matter claim that Butler Equipment, as a part of the move, will offer its products and services at Hyundai Construction Equipment Americas retail location, adding new value to the Hyundai’s Northeastern territory. Reports claim that Hyundai’s North American network, with the addition of Butler’s new dealership, will now include over 70 dealerships operating in over 150 locations, offering sales, genuine parts and services to Hyundai’s excavators, compaction rollers, wheel loaders, and other construction equipment portfolio. According to a press release, Bill Klein, Northeast District Manager, Hyundai Construction Equipment Americas, said that Butler Equipment will add great value to the firm’s authorized dealership network. 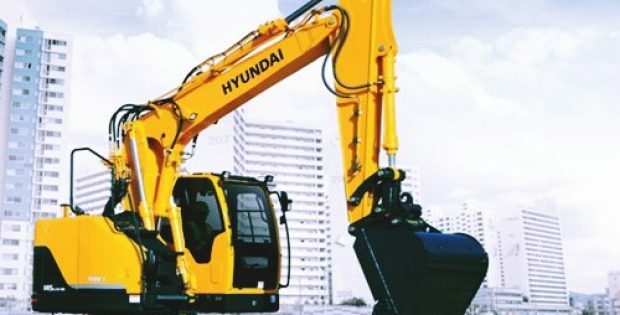 He said that the company offers service to the compact construction and landscape market in central Connecticut, and with Butler onboard, will further allow Hyundai to better serve its customer base and fulfil new customer needs for larger equipments. Commenting on its dealer network, Hyundai Construction Equipment said that its sales, services and parts teams offer regular product and service training to dealer partners to enable them to offer first-class support to customers. For the record, Hyundai Construction Equipment Americas manufactures construction equipment for customers in South and North America. The company offers material handling and earth moving equipment, including wheel loaders, hydraulic excavators, skid steer loaders, and diesel and electric forklifts to regional customers. In addition to construction equipment, the company also offers spare parts and services that include preventative maintenance, engine oils, lubricants, hydraulic fluids, genuine parts and remote monitoring systems.